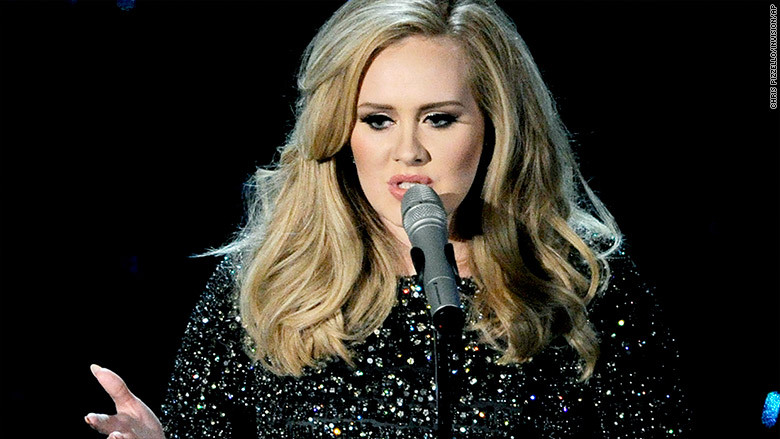 Adele won't allow her new album "25" to be streamed. Adele's latest and highly anticipated album, "25," will not be available on music streaming services, according to an executive with knowledge of the release strategy. The New York Times, which first reported the streaming decision on Thursday, said Adele was personally involved in making it. Adele is one of a small number of A-list artists who can make potentially more money by foregoing sites like Spotify and Apple Music. "Adele is an anomaly. If she decided to release her album on cassette tapes, it would still be the biggest album of the year," an industry source said. The music label has indicated to streaming executives that "25" will stay off Spotify-like services indefinitely, but that calculation could change in the coming months. "We love and respect Adele, as do her 24 million fans on Spotify. We hope that she will give those fans the opportunity to enjoy '25' on Spotify alongside '19' and '21' very soon," Spotify said in a statement. The album, which is set for release Friday, will be pirated of course — published illicitly on file sharing web sites and on sites like YouTube. But Adele's label has an aggressive plan in place to fight attempts to digitally steal the songs, the executive source said. Adele's prior records, "19" and "21," are available on some streaming services, and the decision involving "25" won't affect that. Her first single from "25," "Hello," became the first song to sell more than one million U.S. downloads in a week earlier this month will also remain online — it promotes the release of the full album. "Hello" has also been streamed more than 156 million times on Spotify already, which puts it ahead of all of her other songs except for "Rolling in the Deep," which has been streamed 188 million times. The anticipation for "25" has been growing since 2011 when Adele's last album, "21," won multiple Grammys and selling more than 11 million copies. The move to reject streaming comes a little more than a year after another female artist, Taylor Swift, pulled her whole music catalogue from Spotify. Swift's move last November set off a debate within the music industry concerning streaming music services and artist compensation. In June, Swift temporarily banned her hit album "1989" from Apple Music saying in an open letter to the company that it wasn't fair that the service would not be paying writers, producers, and artists during Apple Music's initial three month free trial. "I find it to be shocking, disappointing, and completely unlike this historically progressive and generous company," Swift wrote at the time. Almost immediately Apple reversed its position and Swift agreed to allow Apple Music to stream the album. Another popular artist, Prince, pulled his music from Spotify in July. However, fans could listen to the artist on TIDAL, the Jay Z owned music streaming service.